Department of Justice agent Pete Riordan investigates the sale of guns to the IRA. The seller is suspected to be Mikey-Mike Magro, who is being released from prison. Riordan suspects that Magro is also seeking revenge against his former colleague Digger Doherty, brother of Bishop Paul Doherty. 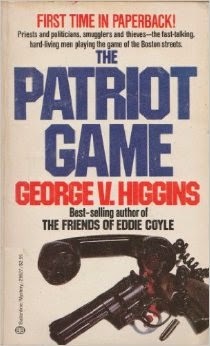 Pete Riordan first appeared in Higgins’ novel Kennedy for the Defense, which takes place in the CU via a reference to Robert B. Parker’s P.I. Spenser. Mikey-Mike Magro, Digger Doherty, and Digger’s brother Paul first appeared in Higgins’ novel The Digger’s Game.